The trouble with being a blogger is that it can be quite an isolated life. So you have to take your social opportunities where you can get them. 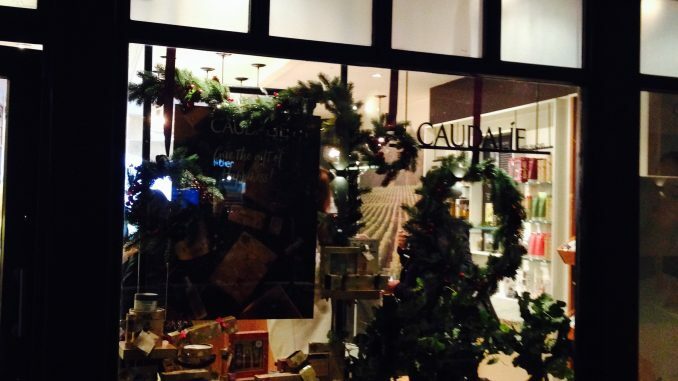 Hence many thanks are due to Caudalie who opened up the doors of their Covent Garden store last week for the Thirty Plus bloggers to meet and mingle. Before this, I hadn’t been to Covent Garden for a few years. It’s astonishing to see just how many beauty stores have set up shop there. I thought we were doing well in Brighton for beauty shops but this is something else. Every brand that has a tiny counter in your local department store seems to have branched out into a fully fledged store. If you like beauty products then you will probably feel your ovaries quiver and your credit card brace itself the instant you get off the Covent Garden tube. 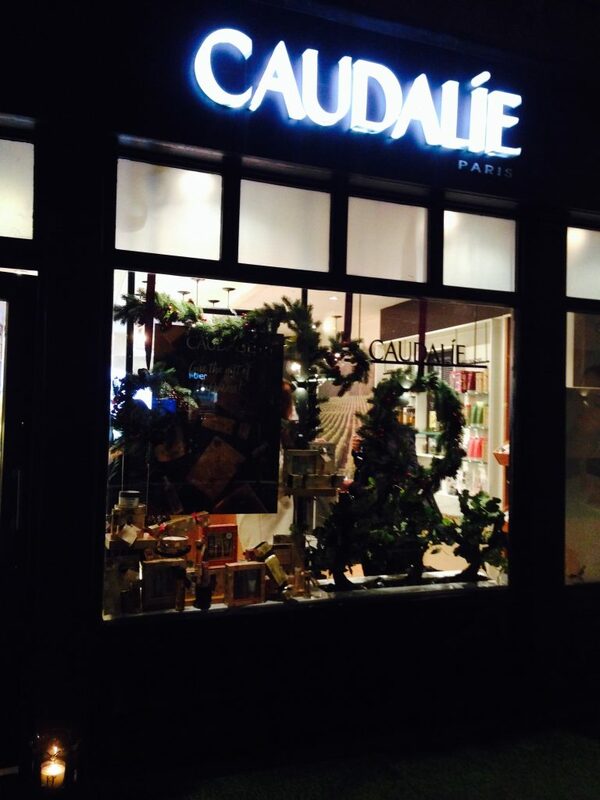 The Caudalie boutique is tucked away down Monmouth Street, just off Seven Dials. It’s quite small, but the shelves are packed with all kinds of French skincare goodness. 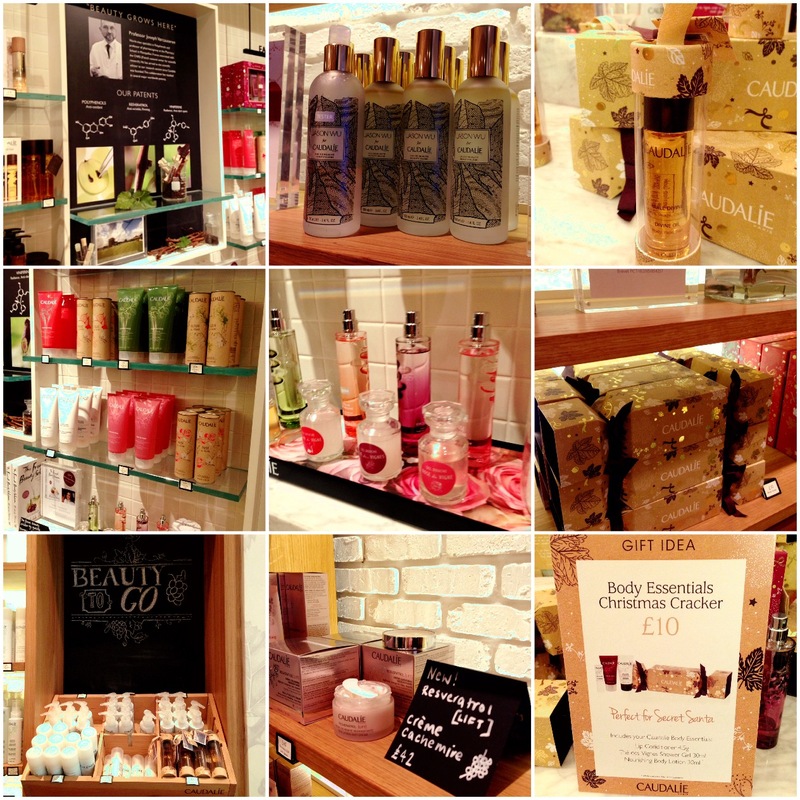 My only previous encounter with Caudalie had been via its lovely Rose Shower Gel. But it turns out that red wine is really their thing. It was fascinating to hear how they utilise every part of the grape vine in their skincare. This year’s focus ingredient seems to be Resveratrol. It’s an antioxidant which can help calm the skin and soften signs of ageing. I had heard of Resveratrol before, but assumed it was something cooked up in a lab somewhere because it sounds like it, doesn’t it? Turns out that’s not the case. It’s actually a compound found in the skins of red grapes and the stalks of grape vines. However, it takes 200kg of vine stalks to produce 50g of resveratrol, so it’s not exactly an abundant crop. But it does explain why grapevines have an incredible power to resist the harsh effects of the elements and can live for up to 100 years. I know some of the ingredients I’ve shown you aren’t for everybody, like snail filtrate or bee venom. But red wine face juice, I think we can all get behind that, no?